On Wednesday, March 27, 2019 Nancy Sue (Malm) Large passed away at the age of 88 while residing at Atria Covell Gardens in Davis, CA. Nancy was born on November 11, 1930 in Corey, Pennsylvania to Foster and Gertrude (Thompson) Cass. At the age of 6, the family moved to Berkeley, CA. She graduated Berkeley High School. Nancy met her first husband, Robert (Bob) Malm, while he was serving in the U.S. Navy stationed at Treasure Island. Bob and Nancy had three sons, Michael, Robin, and Thomas. The family moved many times while Bob was in the Navy. Nancy is survived by her loving husband, Bud Large, three sons, Michael, Robin (June), Thomas (Kimberly), her three grandsons, Ryan (Lisa), Robert (Allison), Joseph (Alexandra), her two great-granddaughters, Cora, Quinn, her stepson Greg (Sylvia), and her nephew Rick (Janice). Nancy’s sister and best friend, Jeanne Carlson, and first husband, Bob Malm, predeceased Nancy. 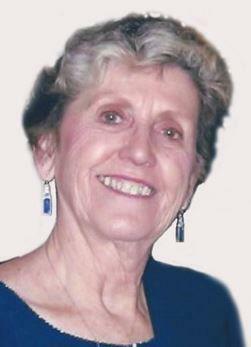 Nancy will be interred at Tulocay Cemetery, Napa, CA. At Nancy’s request there will be no funeral services, but a Family Celebration at a later date.